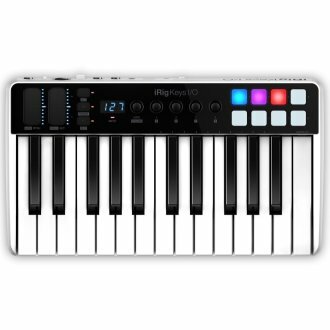 The IK Multimedia iRig Keys IO 25 Keyboard Controller evolves the concept of traditional controllers as the only one available on the market that integrates together with a fully-fledged professional audio interface. This controller features a 24-bit audio up to 96kHz sampling rate, balanced stereo and headphone outputs, plus a combo input jack for line and an instrument or a Phantom powered mic input. The iRig Keys I/O 25 is guaranteed to work out of the box with all iOS devices including the latest generation of iPhone 7 that does not have an audio output, thanks to the on-board audio interface. The included Lightning cable allows for straight plug-and-play with Apple iOS devices, the USB cable connects Mac and PC computers. 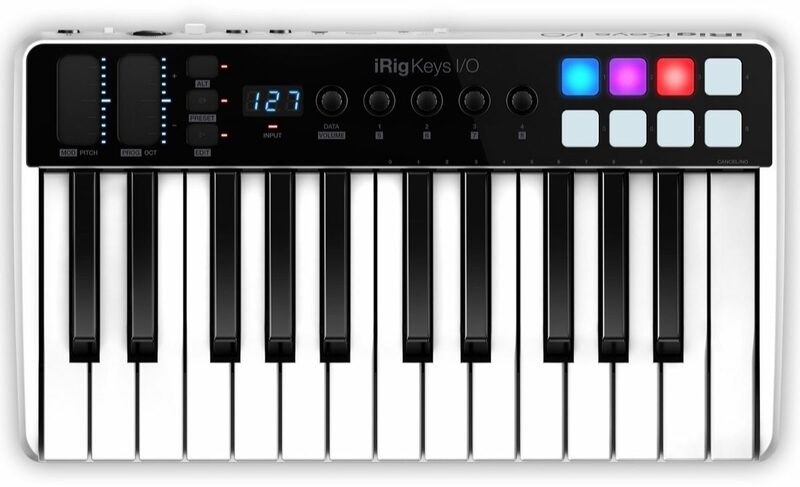 Loaded with IK software and apps, the iRig Keys I/O 25 includes an unmatched selection of everything that is needed to make complete, finished productions out of the box. You get the full SampleTank 3 sound and groove workstation, Syntronik Pro-V vintage synthesizer, T-RackS 4 Deluxe mix and mastering suite, Ableton Live 10 Lite, and more. 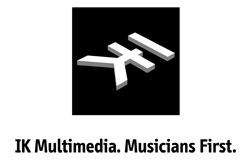 - Comes with the most comprehensive collection of software instruments and pro studio processors on the market. Note: Does not Include iPad or Macbook Pro laptop. Available until 11 PM (EST) today. Mention special code 20D-F56Z when you call.